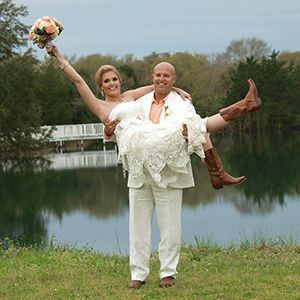 Take the stress out of planning a wedding… elope in Texas and escape to our beautiful guest ranch an hour west of Houston. Just book one of our romantic suites or cabins and then choose from our all-inclusive elopement packages in Texas. We are happy to help you customize any of these packages to make your special day uniquely yours. To ensure a great event for everyone involved, all elopements at BlissWood must be booked as a package. 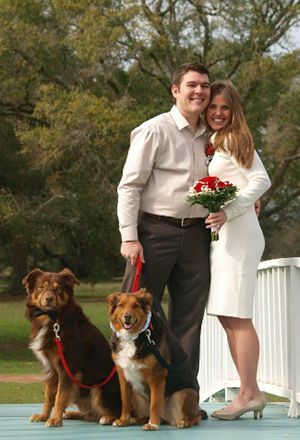 If you desire a larger celebration please see our Texas Weddings page. Weddings on Wednesday Special: $800, save 20% off this elopement package when you book your elopement wedding on a Wednesday! *2 night minimum stay required for package. Special holiday lodging pricing and 30% surcharge added to package price and photography for scheduling during holidays, Valentine’s, spring break, and special events weeks. Deposits for events are non-refundable. A marriage license can be obtained in any county in Texas by the Texas County Clerk, and is valid for a wedding ceremony held in any county. A marriage license is valid for 90 days. The minimum age for a marriage license is 16. Applicants under the age of 18 must have a certified copy of their birth certificate (long form) that was issued in the last 10 years, as well as parental consent or judicial approval. The waiting period is 72 hours, but may be waived by court order. Active duty military are exempt from the waiting period. There is a 30-day waiting period after a divorce is granted within the state of Texas. A witness may not be required to receive a marriage license in Texas, but it is necessary to have an authorized officiant be present at the ceremony to act as a witness to the wedding and examine the validity of the marriage certificate. A marriage license costs $81.00 cash. Couples who complete "Twogether in Texas," the State of Texas approved marriage education class, do not have to pay the $60.00 State portion of the marriage license fee, but only have to pay the smaller County portion which varies by County. For U.S. citizens, proof of residency in Texas or proof of U.S citizenship is required in the form of a Texas driver's license or ID card, residency card, or birth certificate. Non-U.S. citizens will need a passport or birth certificate. 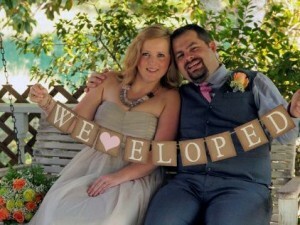 Request more information about our Texas Elopement Packages.